Our Banani Chambers boasts from wide ranging legal reference books, law reports and journals in print form. Further the lawyers have access to several e-Resources like WestLaw, Lexis(R), HeinOnline etc. Banani Main is located within convenient distance of the thriving Banani and Mohakhali commercial landscape and which is 15 minutes drive from the international Airport. Both litigation support and corporate affairs works are provided from Banani. Our presence in Banani provides easy access to the major multinational companies, branch and representative offices, NGOs, who are located in this area. Gulshan Branch is located in the state of the art famous building named “Crystal Palace” at the heart of the Gulshan Avenue. Our presence provides easy access to major multinational companies, branch and representative offices located in Gulshan and Tejgaon area. Kakrail branch is within walking distance of the Supreme Court of Bangladesh, Bar Council, National Board of Revenue, Employment Tribunals, VAT, TAX Tribunals etc. On the other hand, District and Magistrate court is also nearby. 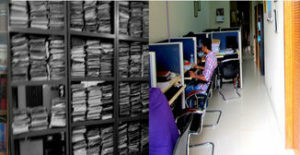 The kakrail Branch plays a crucial role in effectively dealing with litigation pending in several courts and tribunals. 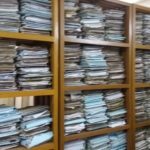 Chittagong branch provides important support to the litigants who have issues in Dhaka High Court. Besides, for most commercial matters this port city has some major role to play which has direct link with our services. LIBRARY, LEGAL DATABASE AND RESOURCES: The firm has a rich library covering all major local law reports e.g. DLR, MLR, BLC, BLD, CLR, ADC etc and also local and international textbooks and materials covering all our practice areas. Besides, the firm also yearly subscribes international online legal database which provides access to most major international and subcontinental law report e.g. All England Law Report, All India Reporter, Company Cases etc. and also local law reports. It need not mention here that quick access to such database and law report plays a critical role in our practice. AUDIO & VIDEO CONFERENCING: A fully set-up conference room equipped with fast internet connection, HD CAM, Projectors & other necessary equipment to conduct one to one or one to many video conferencing. Custom designed and tailor made Online Management software is used for last 10 years to maintain case records and allocation of work between lawyers via Chambers intranet. A central Cloud supported backup system has been implemented to keep all digital information backed up in case of emergency and to provide a means to safeguard against accidental loss of important information. World famous Tally software is used for keeping financial records. Archive of all client files is maintained and data in print form is preserved for maximum 10 years for archived files.